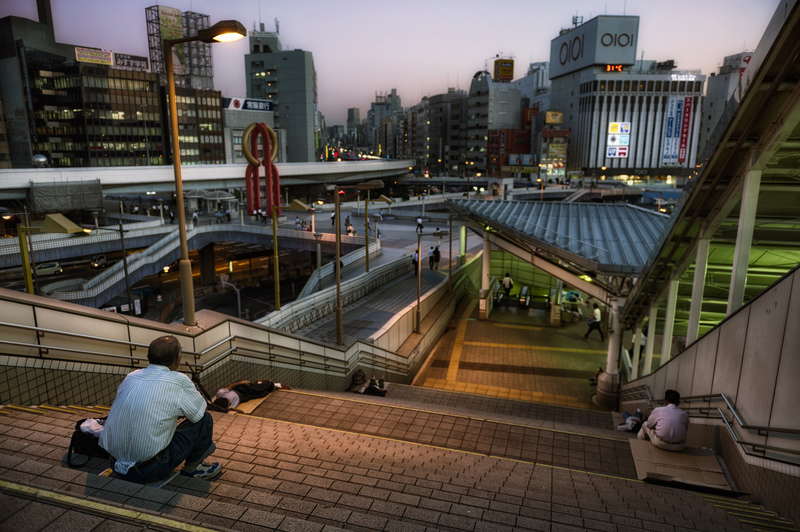 I was amazed by how many people where sleeping at the train stations in Tokyo, for some reason I had the illusion that there where no homeless people in Japan. But of course they have the same problems as the rest of the world. I made this photo at Ueno station in Tokyo, right after sunset. Dreaming of a Better Place by Bo47 is licensed under a Creative Commons Attribution-NonCommercial-NoDerivatives 4.0 International License. Previous articleFive Days Quest - Day 3Next article Five Days Quest - Day 4.